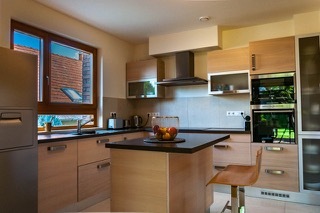 HomePropertiesFamily house for sale 257 m2, was built in 2013, located in the 2nd district of Budapest at Széphalom. 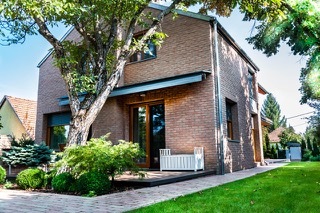 Family house for sale 257 m2, was built in 2013, located in the 2nd district of Budapest at Széphalom. Family house is for sale from the owner. 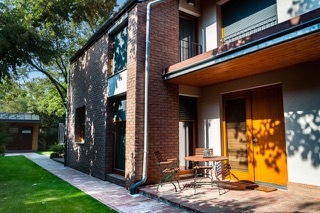 The building was built in 2013, size of all house is 257 Square Meters (not including any terraces). 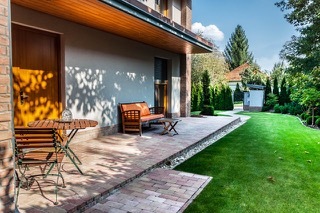 It is located in the 2nd district of Budapest at Széphalom which is a very green, family friendly and quiet area and well accessible by public transportation. French, American, English schools are in the close neighborhood. House built with the highest quality materials, based on the latest technology. 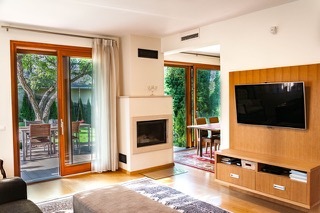 On the ground floor there is a living room with lots of natural lights and with direct access to the huge terrace (20 Square Meters) and the garden. 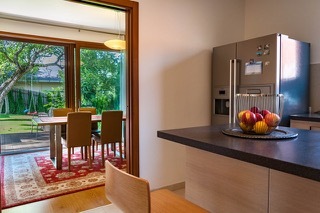 On this floor there is a large, very modern kitchen with Siemens machinery, a dining room also with access to the terrace and the garden. 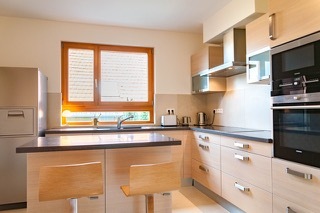 The kitchen has sliding doors and can be separated if required. On this floor there is a chamber, wc with shower and a study. 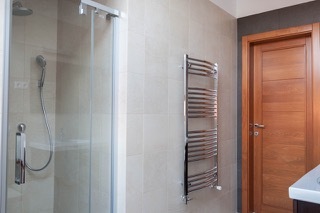 On the first floor there are three bedrooms, two bathrooms and a wc. One bathroom has shower, the other one has shower and bath-top. On the first floor there is also a 15 Square Meters balcony available. In the basement there is a garage for two cars, a laundry room, technical room, a fitness room with sauna and a big storage room. 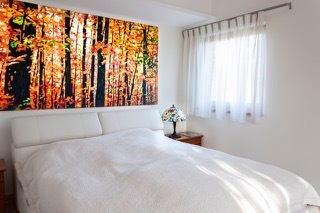 The house is heated with heat-pump and equipped with an energy-saving air-exchanger system. The following equipments are also available: A/C, electrical shutters, garden gate with remote control, irrigation system in the garden, an electric sun-blind above the terrace on the ground floor, alarm system, triple-layer windows, window – screens and high quality bulit-in furnitures. Energy rating: A+. 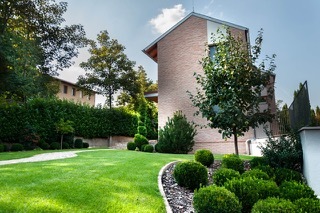 The garden is 742 sqm, it is well-groomed. It has a garden lodge, with a summer kitchen and a storage room. It is ideal for summer garden parties.